Luscious chocolates in a candy-cane themed gift bag. Choose your size & variety. 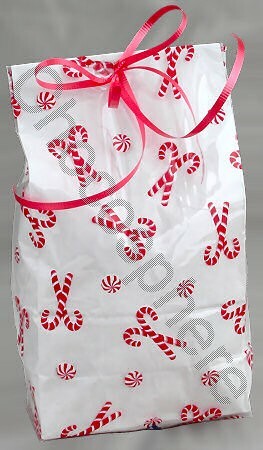 A white-paper bag, enclosed in a shiny, clear bag covered in festive red Candy Canes, filled with luscious chocolates.